Flat breads have been passed down through the centuries from many different cultures. 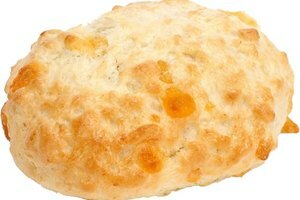 Though they often have the same main ingredients, they also have endless variations. 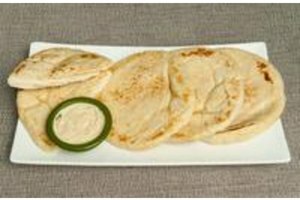 A very common flat bread found in America is the tortilla, due in large part to its prominence in Mexican cooking. 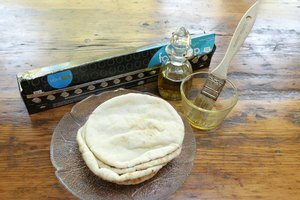 Other kinds of flat bread are available in stores, many of which can be used for wrap sandwiches, and bread makers use the word wrap to describe them. Because of this, wrap is a broad category of flat bread. In order to accommodate wider use for the bread in sandwiches, wraps by many companies are made larger than tortillas traditionally are. The larger surface area allows sandwich makers to fill their creations with more fillings. 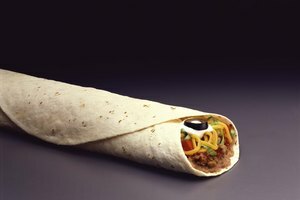 The size is also conducive to having the sandwiches cut in half, some that is common in wrap sandwiches, but not so common in tortilla counterparts, the taco or burrito. 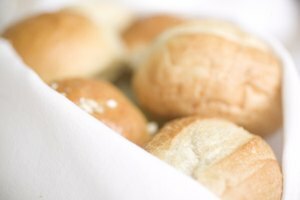 Though this often depends on the bread manufacturer and the style purchased, wraps tend to contain yeast which allows for at least a small amount of leavening. Common wrap styles, like Armenian lavash or pita bread contain yeast though the dough is not allowed to rise as drastically as it is in non-flat bread. Wraps therefore can have a more porous, airy texture than tortillas. Flavoring or spices are something that wrap recipes sometimes include that you would almost never find in a tortilla recipe. Wraps are a more general category of flat bread, and because of this bakers take more liberties with the things they add. It's also common for wraps to contain sugar or honey, neither or which you would find in a tortilla. Probably the most profound difference between a wrap and a tortilla is how they are cooked. Tortillas are traditionally cooked on a pan or hot plan for a matter of seconds on each side. Wraps for the most part are baked, and the length of time they are baked for determines their level of crispiness. For many wraps the baking takes less than ten minutes.